Many vehicles come equipped with drum brakes. For many years, disc brakes have been used at the front of the vehicles while drum brakes are used at the rear. Drum brakes can last a very long time, if maintained properly. Periodic adjustment of the drum brakes makes sure that the brakes do not drag when driving as this can rob power from the vehicle and cause the brakes to wear out much more quickly. Drum brakes usually need to be adjusted when the brake pedal has to be pressed down a lot before the brakes engage. Adjustments can be done only on brakes that are in good shape. Keep in mind that not all drum brakes are adjustable. To confirm your brakes are in good working order before you adjust them, check your vehicle for symptoms of a bad or failing drum brake. This article covers the adjustment process for drum brakes of the star wheel type. Step 1: Lift the rear end of the vehicle. Make sure the vehicle is in park and that the parking brake is set. At the rear end of the vehicle, place the jack at a safe location under the vehicle and lift one side of the vehicle off the ground. Place a jack stand under the lifted side. Repeat this process on the other side as well. Leave the jack in place as a safety measure to provide extra support for your vehicle. Warning: Improper lifting of a vehicle can result in serious harm or even death. Always follow the manufacturer’s lifting instructions and only work on flat, level ground. Only lift the vehicle at the recommended lift points given in your owner's manual. Step 2: Remove the tire. With the vehicle lifted safely and secured, it is time to remove the tires. 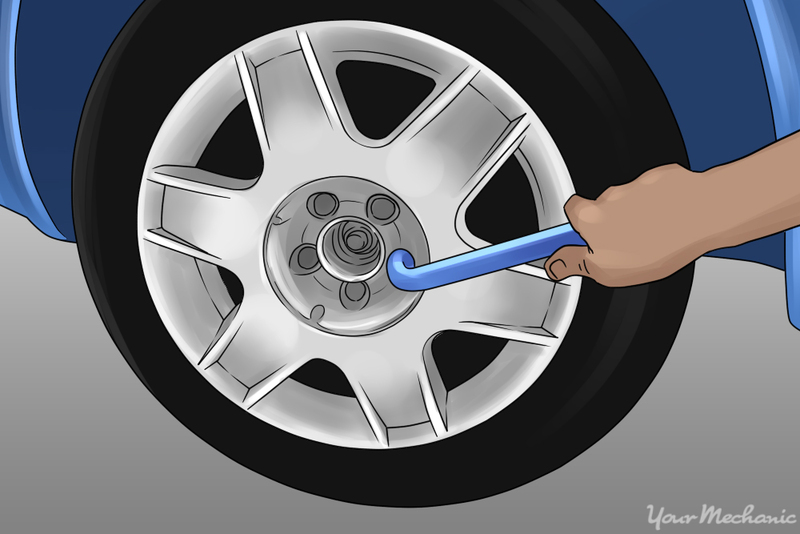 Remove the tires on both sides by unbolting the lug nuts. Keep the nuts in a safe location so that you can find them easily. Remove the tires and set them aside for some time. 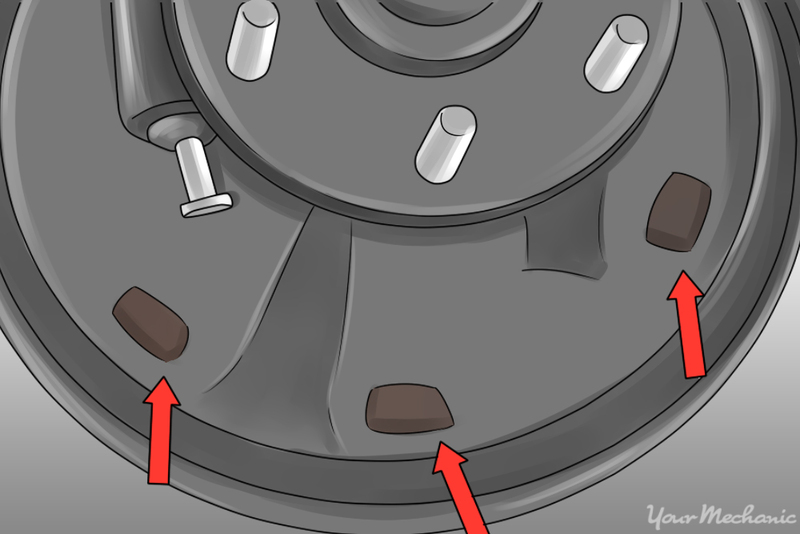 Step 1: Access the drum brake adjustment star wheel. 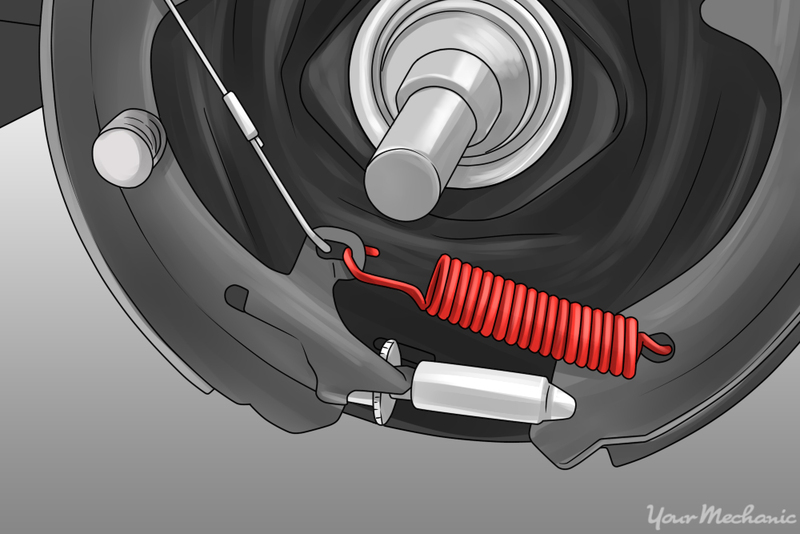 The drum brake adjuster is located under an access cover in the back of the drum brake. Using the screwdriver, gently pry out the rubber grommet that protects this access cover. Step 2: Adjust the star wheel. Turn the star-shaped adjuster a few times. If it does not stop turning due to the pads hitting the drum, then turn the star in the other direction. After the pads hit the drum, back the star wheel off by one click. Spin the drum with your hand and feel for any drag. The drum should spin freely with very minimal drag. If too much drag is present, then back off the star adjuster slightly. 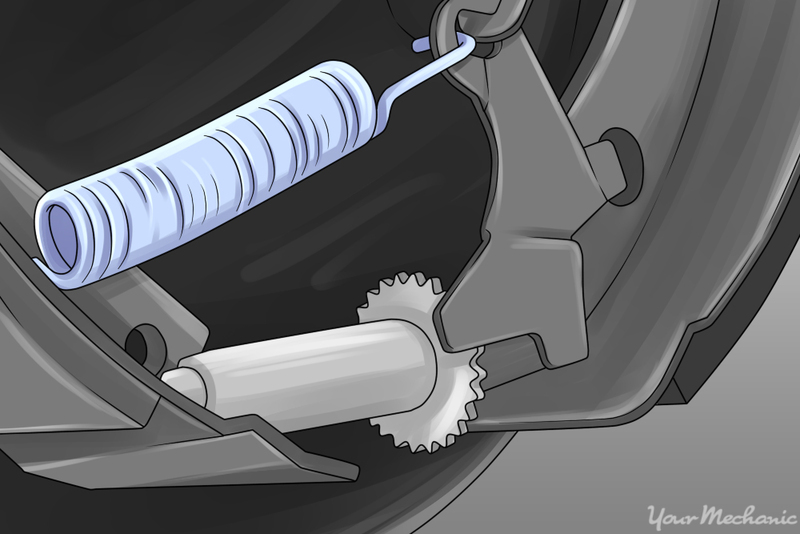 Do this in small increments until the brake is adjusted to where you would like it to be. Repeat this procedure on the other side of the vehicle. Step 1: Check your work. Once the brakes are adjusted to your satisfaction, put the adjuster wheel cover back into its place on the back of the drums. Look over your work and confirm that everything is in position. Step 2: Install the tires. Put the wheels back onto the car. Using the ratchet or the tire iron, tighten the lug nuts in a star pattern until they are snug. Make sure to torque the wheels according to the manufacturer's specifications. Do the torque procedure in a star pattern as well. Step 3: Lower the vehicle. 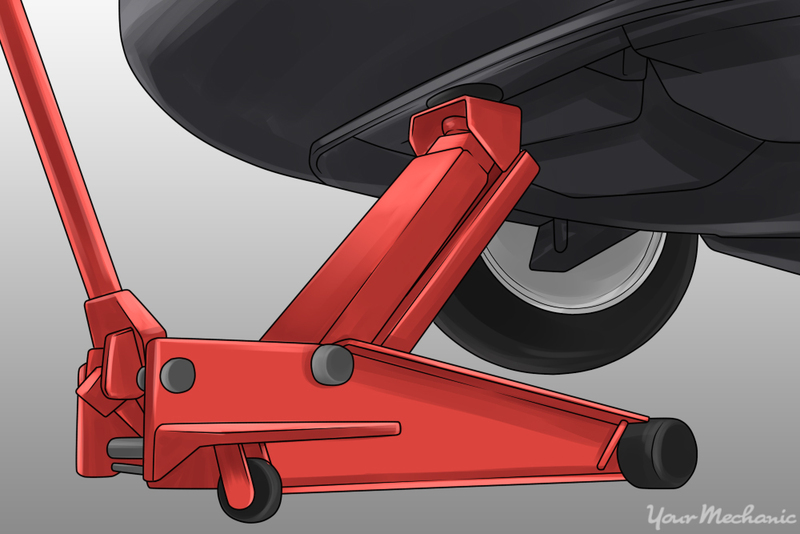 Using the jack on a lift point, lift the vehicle enough to be able to slip the jack stand out from under the vehicle. Once the jack stand is out of the way, lower the vehicle to the ground on that side. Repeat this procedure on the other side of the vehicle as well. Step 4: Test drive your vehicle. Take the vehicle on a test drive to confirm the brake adjustment. Before driving, pump the brake pedal a few times to seat the brakes and confirm that the pedal operates properly. Drive the vehicle in a safe location and make sure that the brakes function properly. Adjusting your drum brakes will allow them to last much longer and will prevent a dragging brake. If the brake drags, it can cause a loss of power and lower the fuel milage of the vehicle. If you feel uncomfortable performing this process on your own, you can get an experienced technician from YourMechanic to adjust the drum brakes for you. If needed, the certified professionals at YourMechanic can even replace the drum brake for you.